BOSTON (AP) -- No. 1 if by land, No. 2 if by sea? Archaeologists are excavating what they believe was the site of an outhouse next door to Paul Revere's home -- and the privy, as the colonists politely called their potties, could be flush with artifacts. People typically dumped trash and household goods in their outhouses. 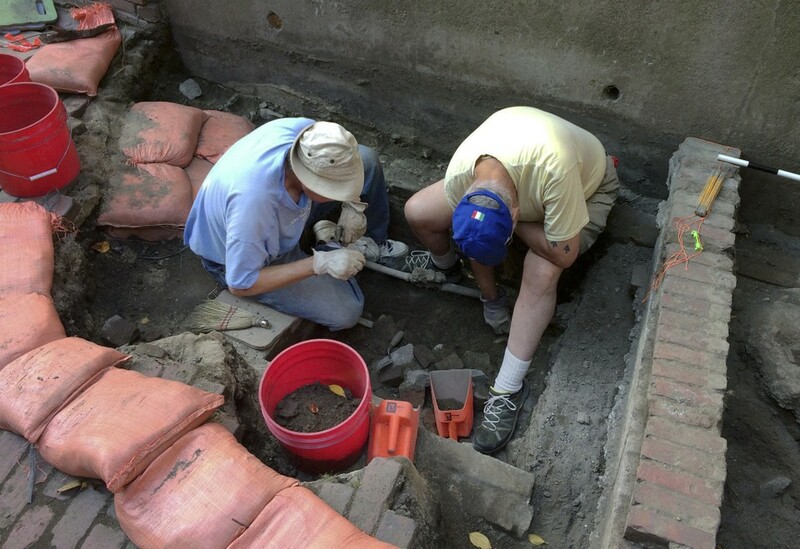 Volunteers with the City of Boston Archaeological Program already have pulled fragments of pottery, bottles and a tobacco pipe from the bricked yard of the Pierce-Hichborn House in the heart of Boston's North End. So far, there's been no sign of mummified human excrement. That would be the telltale evidence of an outhouse at the home once owned by a cousin of Revere, Boston city archaeologist Joe Bagley told The Associated Press. "Paul Revere might well have come over here for dinner and used the bathroom," Bagley said. "He had 12 kids in his own little house next door. It's easy to imagine they didn't stay cramped up in there all the time."